“He (to her at a dance) – Who’s the slick woman? Her (witheringly) – An import. Meanwhile, Lud Frentrup took home the Roos Brothers Punting Trophy with an average of 55 yards per kick, barely edging out classmate Al Nisbet. 1934: On the morning of the Masque Ball for undergraduates, the ball’s “queen” Eleanor Harris was abducted by fraternity members and held blindfolded in a shack for 13 hours. The kidnappers said they intended the abduction as a hoax, but finally confessed after being confronted by administrators. 1945: The intramural civilian softball team faced off against the Army softball team in a final match, but The Daily had trouble predicting the outcome, as the Army team had been practicing every Wednesday in “comparative obscurity.” The Army team planned to “kick the pie” out of the civilian team, but the civilians were counting on “mighty valuable utility man” Joe Pickering to give them a run for their money. 1959: An article titled, “Two types of students present at Stanford” decried the fact that most students wanted to be busy for the sake of busyness and that the school had not yet lost its “country club image” (“such a makeup leaves the student body deficient of people who have experienced the harder realities of life – want, disappointment, disgust, personal tragedy, etc.,” said the staffer). Meanwhile, two monkeys returned safely from space for the first time. 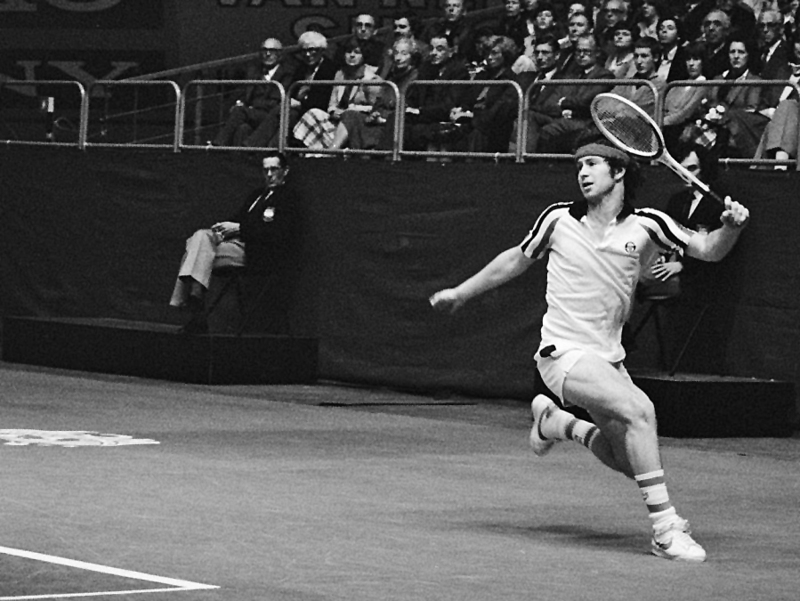 John McEnroe, who in 1978 won the NCAA singles championship at the young age of 18 (Courtesy of Wikimedia Commons). 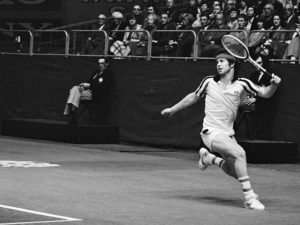 1978: An 18-year-old freshman by the name of John McEnroe won the men’s tennis NCAA singles championship over 22 -year-old senior John Sadri of North Carolina State. A year later, McEnroe would win the first of his seven singles Grand Slams, eventually becoming one of the great figures in the history of the sport. 1986: New information emerged linking former Navy analyst and Stanford student Jonathan Jay Pollard to an Israeli espionage ring operating in the U.S. Pollard had been arrested in November on charges of providing classified information to Israel, but the Israelis denied the allegations, claiming Pollard acted on his own behalf. Pollard has remained in prison for life until his release on parole in 2015. Contact Fiona Kelliher at fionak ‘at’ stanford.edu and Neel Ramachandran at neelr ‘at’ stanford.edu.